This article will show you how to jailbreak Firestick. By doing this, you will have access to thousands of free movies, TV shows, sports, live channels and more. 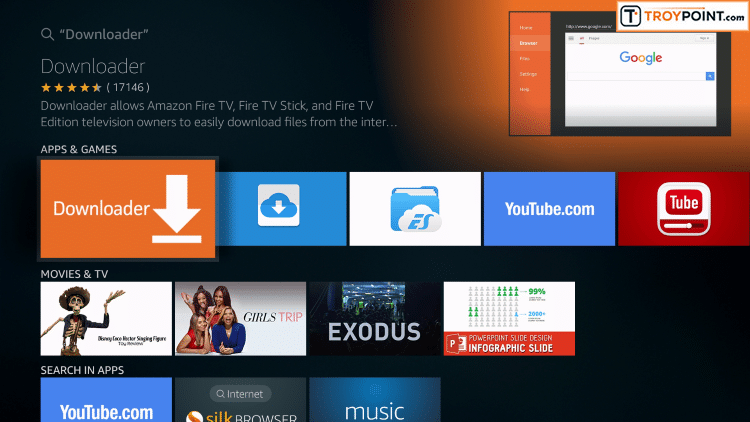 The same process will also work for the Fire TV, Fire TV Cube, and televisions running the Fire TV OS. 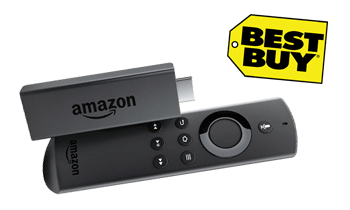 This guide is compatible with the new Fire TV Stick 4K which was released on October 31st, 2018. The Amazon Firestick has become the most popular streaming device available today due to its low price and simple jailbreak process. 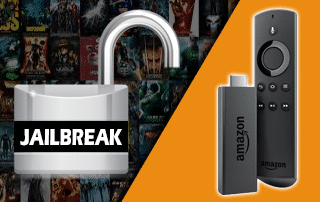 What is jailbreaking an Amazon Firestick, you may ask? It is the process of removing restrictions imposed by the manufacturer to allow for the installation of unauthorized software. Technically, we aren’t actually jailbreaking the device because we aren’t installing modified firmware. But, this is how new cord-cutters search for this topic and that is how we came up with the title for this post. We are glad you found us! When jailbreaking most electronics such as phones or tablets, many times we are required to install modified firmware. You can think of firmware as the operating system for the device. Fortunately, we aren’t required to do that with a Fire TV Stick! Once we have jailbroken the Firestick, we can side-load applications onto the device that we normally can’t get through the Amazon App Store. 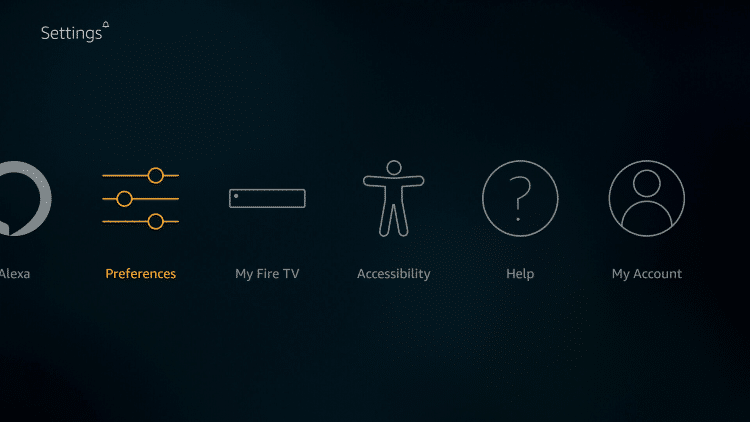 By doing so, your Firestick will have access to thousands of free movies, TV shows, live channels, sports, and more. If you don’t own a Fire TV Stick and you want to get started with this tutorial today, I have you covered. Below are some retail stores that may carry this device. Best Buy, Staples, Target, Fry’s, Radio Shack, Gamestop, B and H, Amazon Books, Electronic Express, Shopko, Toys R Us, Sears, P.C. Richard & Son, Meijer, HH Gregg, Fred Meyer. I would suggest placing a phone call to the retail stores listed above to ensure the Firestick is in stock. If you don’t have one of these stores near, you may purchase the Firestick directly through the Amazon Website. The Firestick comes equipped with the Amazon App Store, which allows us to install applications easily onto our streaming device. Each of the applications within this App Store must be approved by Amazon. 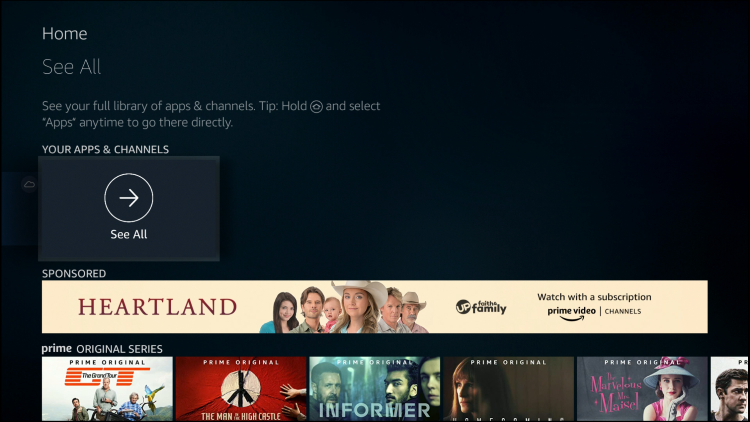 Since the Firestick was first released in 2014, Amazon has taken a strong stance against applications that promote free and low-cost streaming capabilities. 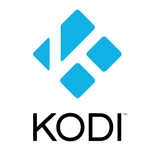 The most notable ban was in June of 2015 when they removed the popular Kodi media center application from their app store. 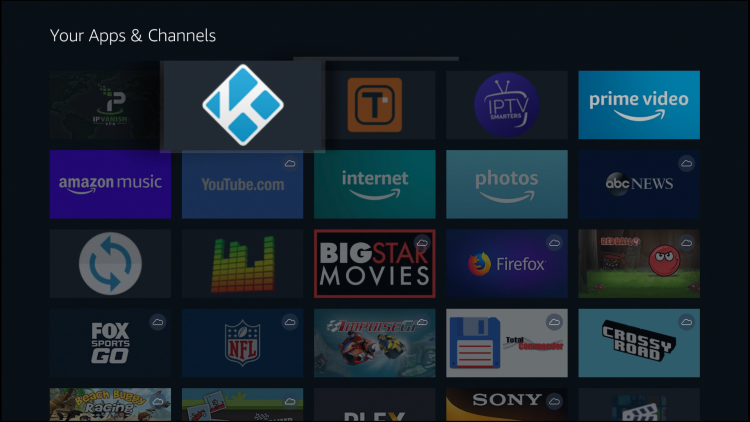 When Kodi was removed from the Amazon App store, users started jailbreaking their Firesticks so that they could still install this popular application. This also opened the flood-gates for many other free and low-cost streaming applications that could be installed as well. Most people don’t realize that the Amazon Fire TV Stick is powered by the Android operating system. This differs from other popular streaming devices such as the Roku and Apple TV where those boxes use their own OS. Since the Firestick is powered by the Android operating system, it opens up a world of endless possibilities for those who jailbreak it. Android is the most popular operating system in the world to date with over two billion active users. 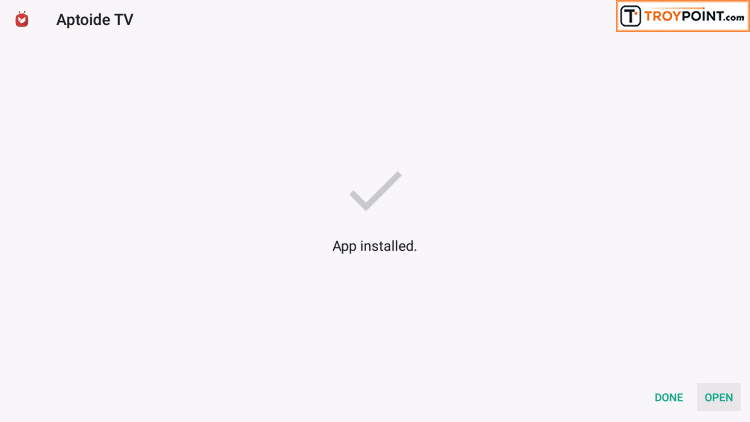 Because of this popularity, there are literally millions of Android applications available and they can all be installed onto a jailbroken Firestick. Before learning how to jailbreak Firestick, you must register for a free Amazon account if you haven’t already done so. 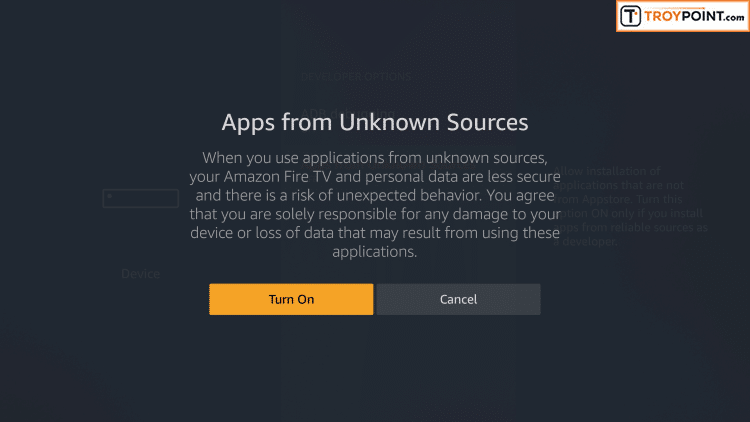 You will use your Amazon login credentials when first setting up your Fire TV Stick. Below, you will find both a video tutorial and screenshot guide that will show you how to jailbreak a Firestick. I suggest watching the video tutorial first because I go through important details that you won’t find within the screenshot guide. 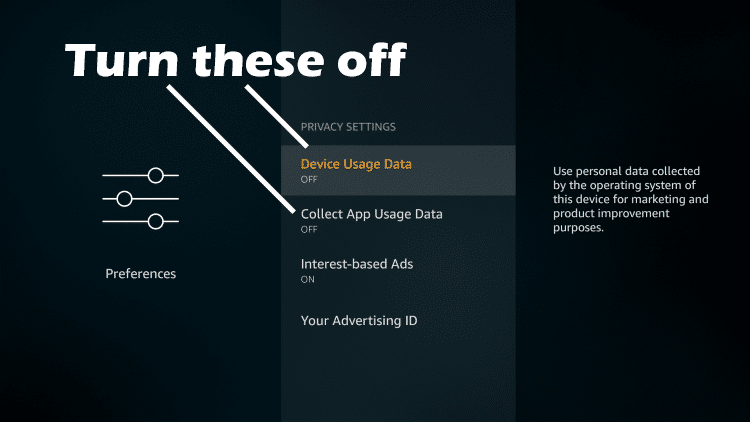 Important: The new Fire TV/Stick update that was recently released changes the location of where you turn off App Usage Data. You can find the App Usage Data under Settings / Preferences / Privacy Settings. I also suggest turning off Data Monitoring as well in the same area. 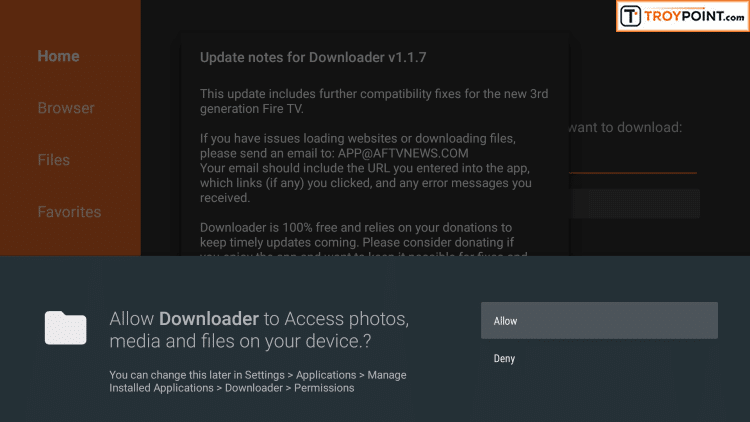 Older Fire TV devices or models that haven’t been updated won’t include these privacy options, proceed to installing the alternative app store if these are now available on your Firestick/Fire TV. The video below was created prior to this update so you will see me turning this option off in a different location. The following screenshot tutorial will take you through the simple steps necessary of how to jailbreak Firestick. 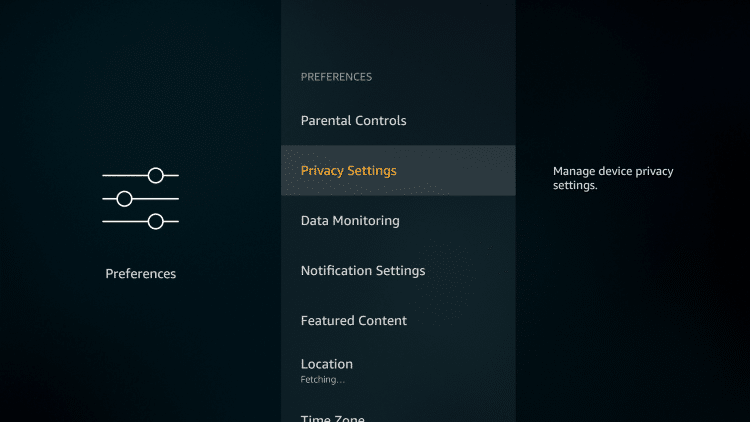 Step 4 – Click Privacy Settings – you may not see any of these options on older Fire TV devices or systems that haven’t been updated, if so proceed to How to Install Alternative App Store below. Go back to previous screen by clicking back button on remote after changing these settings to “Off”. 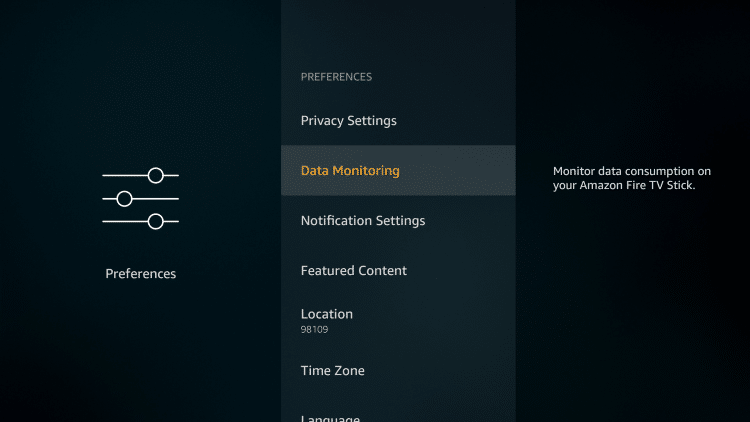 Note: If you are using a newer Fire TV/Stick, you will access the “App Usage Data” section by navigating to Fire TV Settings / Preferences / Privacy Settings. 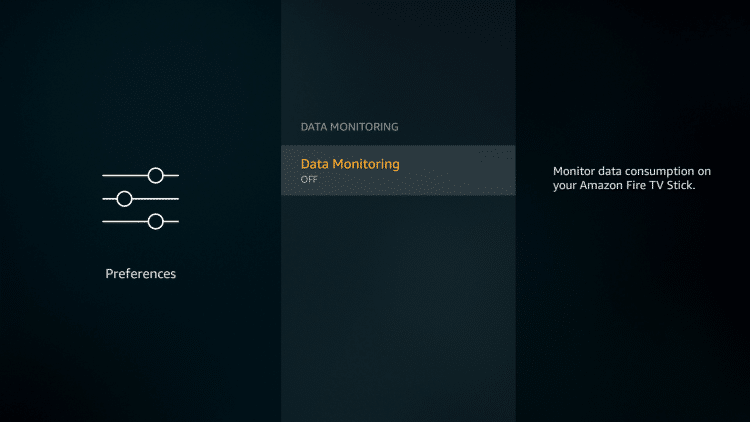 I would also suggest going into the “Data Monitoring” tab and turn off that option in there as well. We have now jailbroken our Firestick by allowing for the installation of applications that aren’t available within the Amazon App Store. Most guides stop after this but I will take it a step further and show you how to install an alternative app store which will provide access to thousands of apps not available within the Amazon App Store. 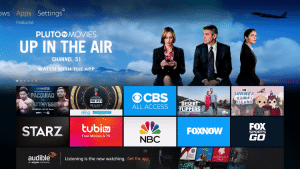 I will also provide suggestions on which applications that you should install onto your jailbroken Fire TV Stick so you can enjoy free movies, TV shows, live channels, sports, and much more. Next, we will install a free application called Downloader from the Amazon App Store. Downloader is a must-have tool for all of us who have jailbroken Firesticks. 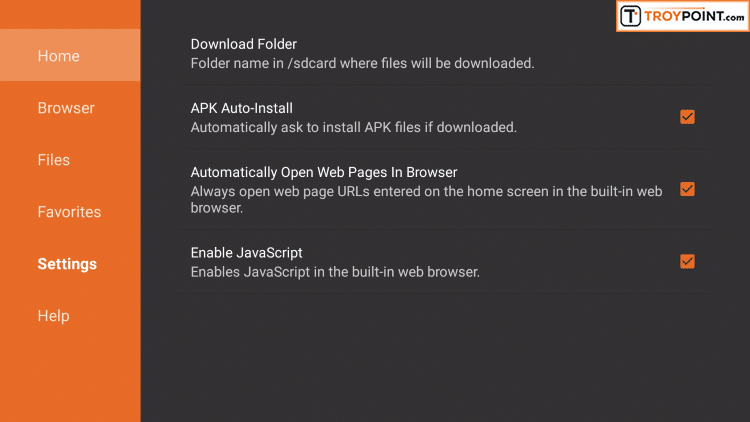 It will allow us to download and install various applications from the Internet that aren’t available within the Amazon App Store. 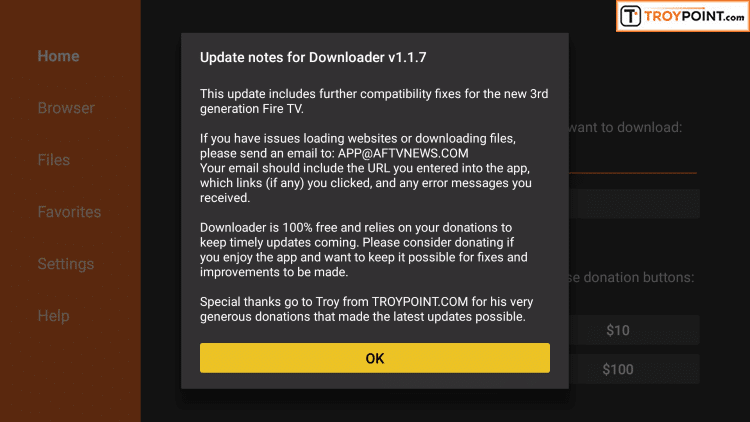 Most of my installation tutorials on the TROYPOINT Website use the Downloader app. You will find links toward the bottom of this tutorial that will take you to the most popular guides. 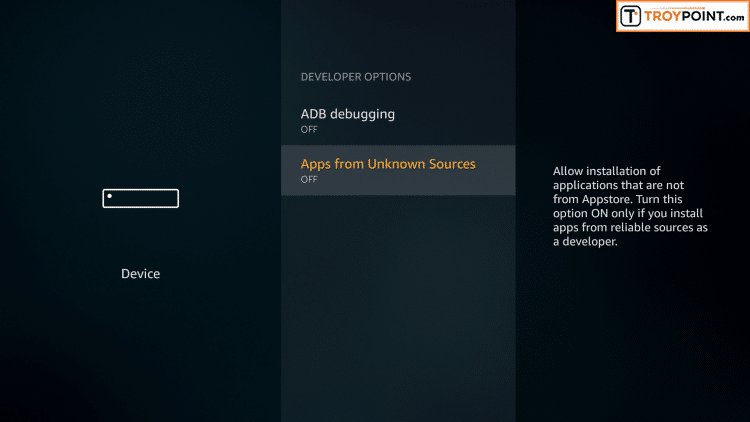 You may find that some applications within Aptoide TV are not the most recent version. 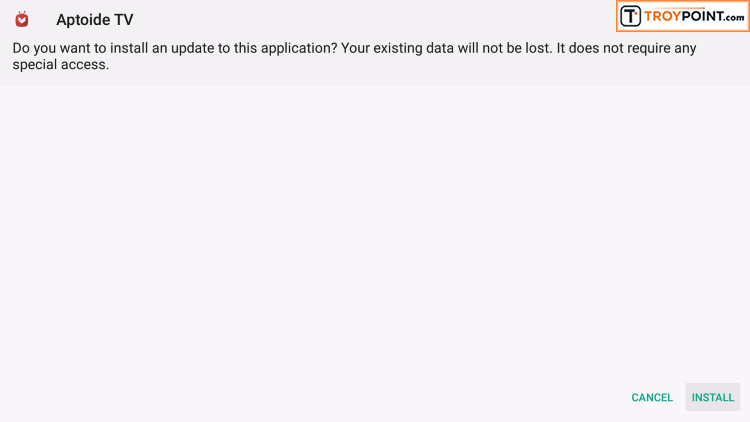 Most of the time, this doesn’t matter since many applications will prompt you to update if there is a new version available. Unfortunately, that isn’t the case for Kodi. 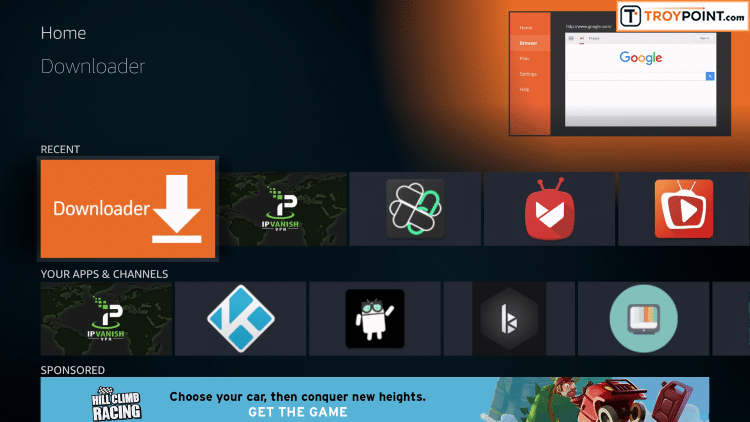 As of this post, Aptoide TV does not include the most recent stable version of Kodi which is 17.6. Below, I will show you how to install the most stable release. 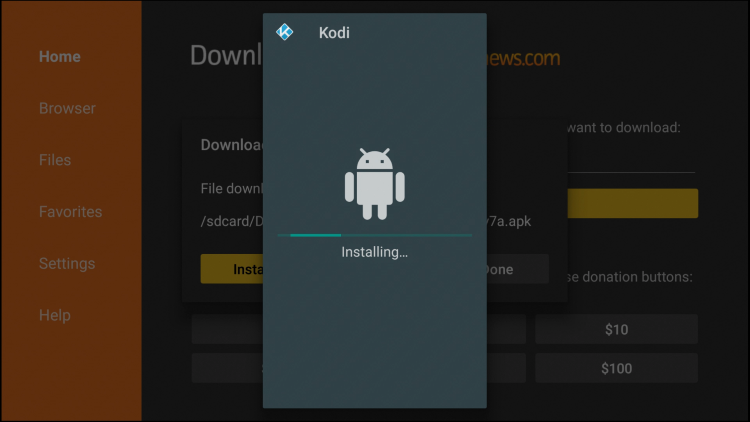 The shortcut that you type into Downloader within this guide will always point to the most up-to-date stable release of Kodi. Click the Go button after typing in address and Kodi download will begin. Note: After recent Fire TV/Stick update, some devices will not provide option “Pin to Front” instead. 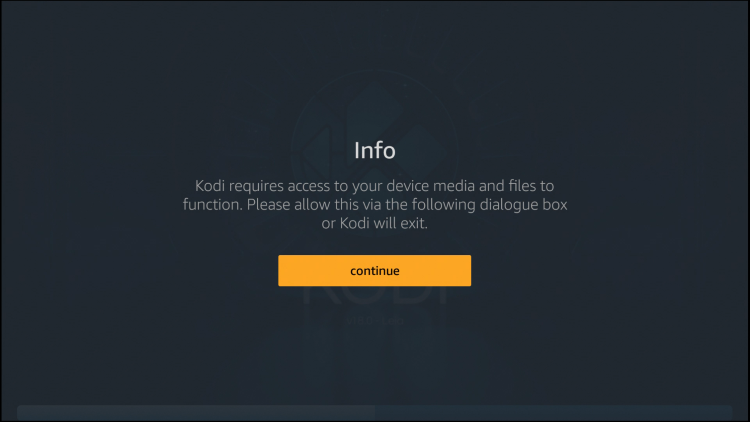 Step 14 You are now presented with Kodi 18.2 Leia home screen on Firestick, Fire TV, or Fire TV Cube. Now that you have one of the most popular streaming apps installed on your jailbroken Firestick or Fire TV, you need to install some addons. 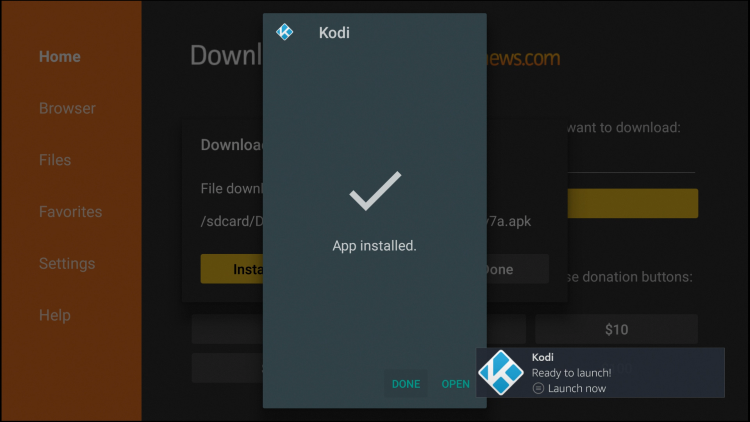 Many new Kodi users spend hours looking for the best addons to install. I have already done the work for you and created the following guide that will have you up and running in a matter of minutes with the best addons that actually work. Below, you will find some of the best streaming applications available for those who have a jailbroken Firestick. Please note that you can choose from the list of what you would like to install. Feel free to install some of them or all of them. It is always good practice to install at least two applications from the same category so if one doesn’t yield the results you are searching for, you can try the other. The following applications will get you running quickly with free on-demand movies, TV shows, and live channels. 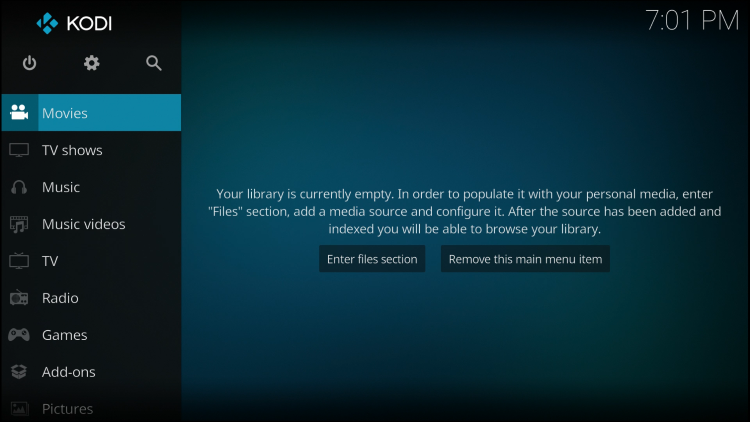 Undoubtedly, the most popular streaming application available for side-loading onto a Firestick is the media center app Kodi. 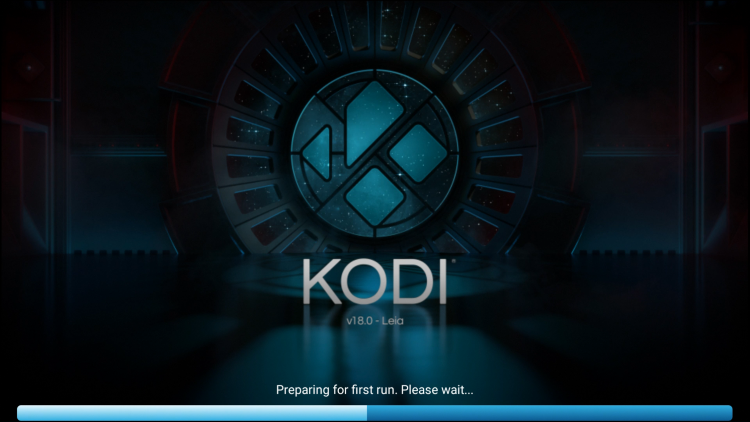 Kodi is an all-encompassing application that uses add-ons for streaming content and more. 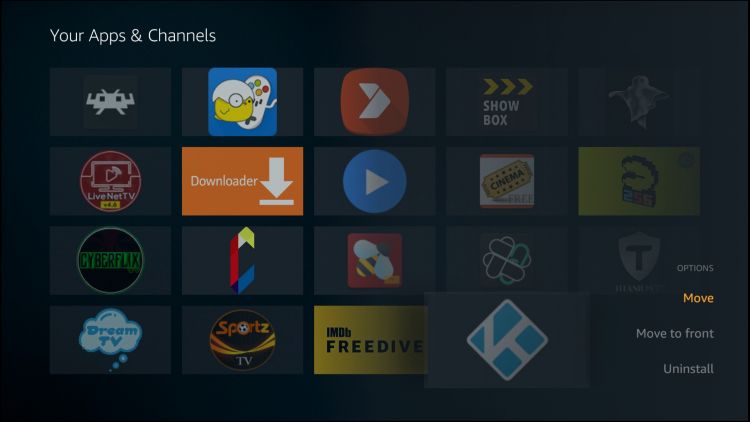 If you would like to learn how to install the Top Kodi Add-ons with just the click of a button, I highly recommend my Kodi Supercharge Guide. With this Supercharge Guide, you won’t have to install each add-on individually. Instead, I will show you how to install a Kodi Build that holds multiple functioning add-ons in one installation. Get all the best add-ons with one click! Downloaded over 400,000 times! 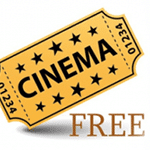 Cinema APK is an Android application that provides thousands of free movies and TV shows. This lightweight application works fabulous on the Firestick and Fire TV. Users will enjoy a friendly user-interface that will provide hours of entertainment. 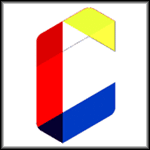 Cinema APK is know for its large amount of media sources that provides buffer-free playback. 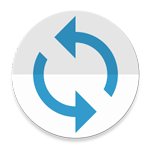 The free application allows both streaming and downloading for playback at a later time. 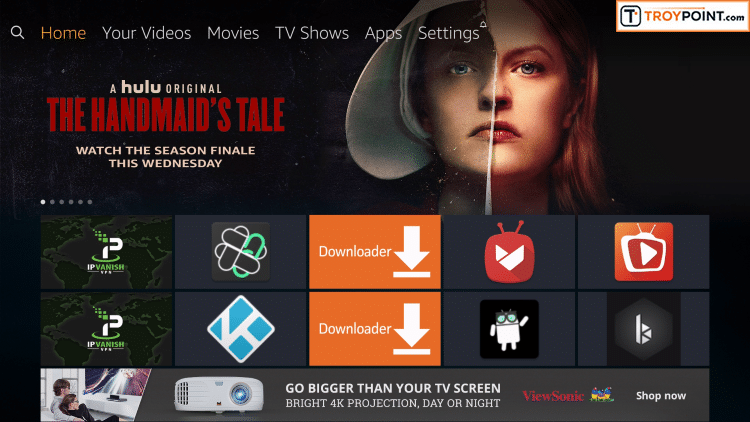 Terrarium TV recently announced that there would be no more updates for their popular application but Cinema APK is ready to take their spot at the front of the line. 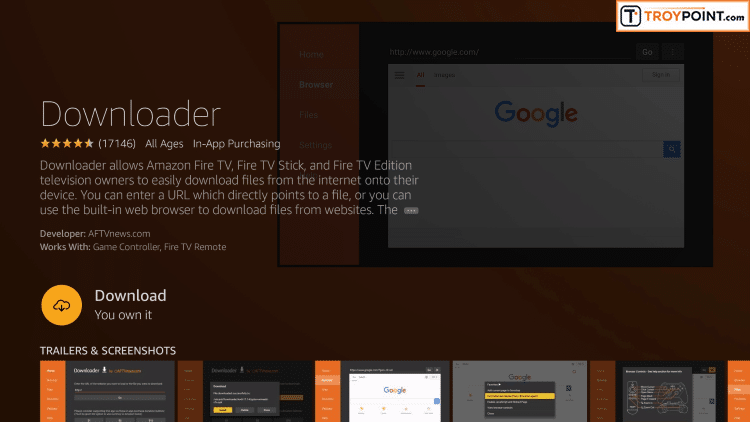 As of now, this is the most popular application available for the Fire TV Stick and Fire TV. A Firestick jailbreak isn’t complete without the new popular application called Morph TV. 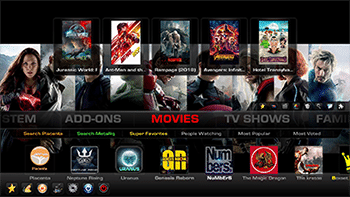 Morph TV provides thousands of on-demand movies and TV shows that can be accessed within a user-friendly interface. The great thing about Morph is that there are no ads like many of the other applications on this list. Another streaming app that is quickly becoming a must-have is BeeTV. 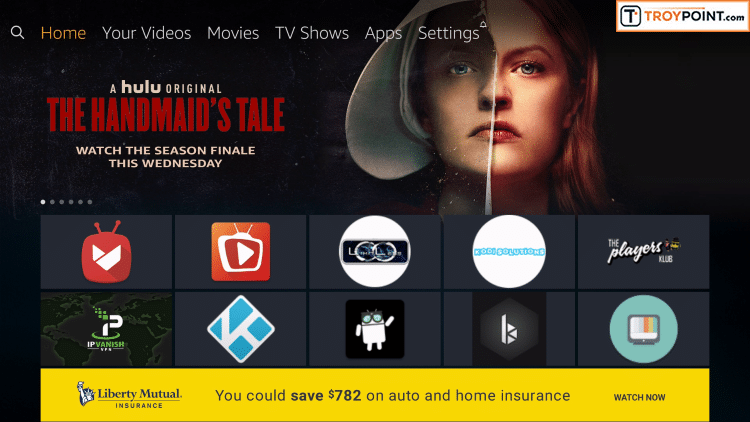 Bee serves up Movies and TV Shows in an easy-to-use interface with awesome categories. Often times, links are available in 720 and 1080p HD. Users can integrate a real-debrid account along with a trakt.tv account which will help them get the most out of this awesome APK. Use the instructional guide below to install BeeTV on your Firestick or Fire TV. CKayTV has earned its position as the best free live TV streaming application for jailbroken Firesticks. This application includes many of the popular live channels that you would receive through an expensive cable or satellite package. Categories include News, Entertainment, Sports, Kids, Movies, Lifestyle, Music, Documentary, and Religious. Although this app works well, it does come with a few limitations. Some channels are only broadcast in SD quality and occasionally you may encounter some buffering, but hey, it is 100% free! If you prefer a more dependable option with high quality, buffer-free playback, I suggest looking at Kodi Solutions which I mention below. 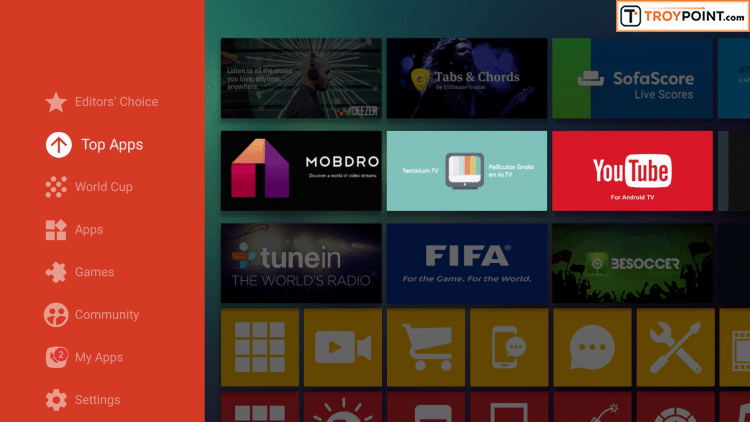 Mobdro is another live video streaming service that works great on a Firestick. This application scours the internet for live streams from around the world and broadcasts them on the app. If you are looking for a free Live TV service, Mobdro is the choice for you. Because the service is free, it may be spotty at times. That is why TROYPOINT always recommends an IPTV Service such as The Players Klub for reliable live television. 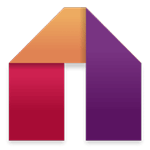 However, Mobdro is a great free alternative that many users find suitable for their viewing needs. Players Klub is an IPTV service that costs only $5 per month and serves over 3,000 live channels often found within expensive cable or satellite offerings. Sports fans will love this service because it provides unlimited access to all of the professional season-pass packages and PPV events. You will never miss your favorite team again whether its NFL, MLB, NBA, or NHL. 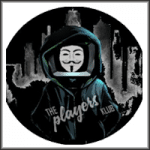 Players Klub also includes a video on demand (VOD) section which serves up the most popular TV shows and recent movies. Players Klub is much more dependable than free services such as CKayTV and Mobdro due to the fact that they invest in quality servers that broadcast the streams. This means no more buffering on your end. Users will also notice that most of the channels within Players Klub are served in HD quality where free apps often come as standard quality (SD). You will be astonished at the amount of content that you receive for only $5 per month! Some of the application that you side-load onto your Firestick or Fire TV won’t work well with the remote control. The reason for this is because many of these Android applications are designed for phones and tablets, not televisions. The Mouse Toggle app will allow us to use a virtual mouse on the Firestick, Fire TV, or Fire TV Cube. This is a must-have utility if you are going to jailbreak a Firestick or Fire TV. One huge drawback of the Firestick and Fire TV is that it doesn’t include Google Play Store. It comes with its own Amazon App store which doesn’t include many of the popular apps found within Google Play. The term jailbreak has often been used to describe installing a 3rd party app store on a device so maybe this tutorial here is more fitting in terms of this definition. 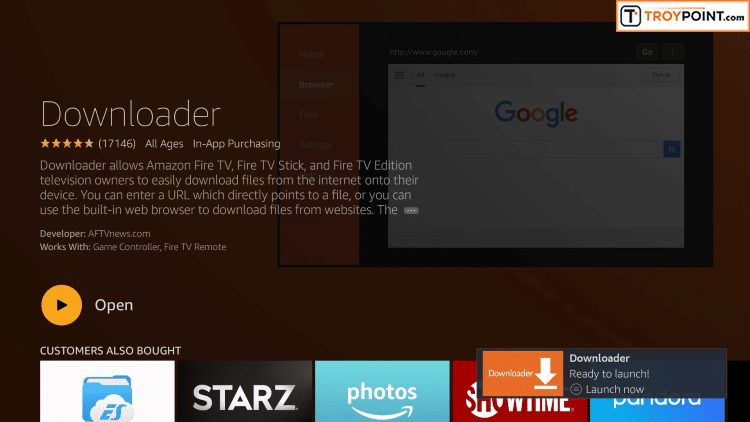 Although we can’t install Google Play on our Firestick or Fire TV, we can install another App store which works great with the remote control. 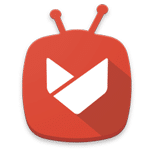 Aptoide TV provides many of the popular apps that are normally found within Google Play. It also includes free streaming applications that aren’t available within Google Play so, in my opinion, this is a better choice anyway. TROYPOINT does not verify the legality or security of any applications covered on this Website. Users should always use a VPN in conjunction with these free or low-cost streaming solutions to protect their identity and security. Your Internet Service Provider, government, app developers, and hackers may log what you are accessing online if you aren’t connecting through a VPN. I use IPVanish on all of my streaming devices and I suggest that you do the same. Because of its side-loading capabilities, the Firestick is able to be used for other activities such as gaming. With the help of 3rd party application, you can easily turn your Fire TV device into an old-school gaming console. This will allow you to emulate popular gaming systems such as GameBoy, Atari, Nintendo, PlayStation, and more. Users can play all their favorite games from different consoles in one location. Use the link below to learn How To Play Retro Games on Firestick/Fire TV. Below are the most common questions that I receive from people looking for information on how to jailbreak firestick. What does a jailbroken Amazon Firestick do? 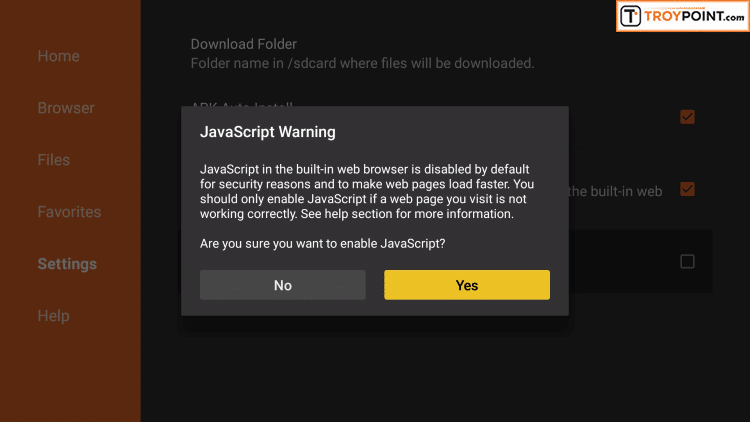 A jailbroken Firestick allows you to install applications that aren’t available within the Amazon app store. There are thousands of free streaming applications that can be installed that serve up free movies, TV shows, live channels, sports, and more. What channels can you get for free with a Firestick? 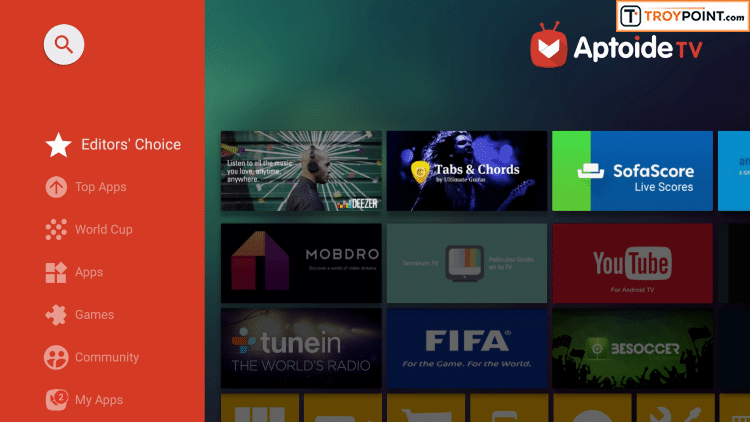 The popular Mobdro IPTV app mentioned above provides access to thousands of live channels typically found within expensive cable and satellite packages. You may also opt for a more reliable service with better quality by paying $5 per month for the Players Klub service. Is there a monthly fee for a Firestick? No, unless you purchase a subscription to one of the applications that require a monthly fee. Most TROYPOINT tutorials teach how to install and use free services. This is a question that TROYPOINT receives on a regular basis. To answer this question as simply as possible, no. It is not illegal to “jailbreak” a firestick or fire tv device. There are numerous functions available when jailbreaking your firestick that does not infringe on any laws or regulations. However, if you would like to use the device to view Movies & TV Shows not available in the public domain, a VPN is strongly suggested to protect your privacy. Without a VPN, your Internet Service Provider, government, and hackers may monitor what you are streaming through your Firestick. A VPN will encrypt your connection to the Internet, making it impossible for others to see what you are accessing online. I personally never use my jailbroken Firestick without first connecting to IPVanish VPN because I don’t trust what my Internet Service provider does with my streaming logs. What are the requirements to use a Jailbroken Firestick? Most of the applications that you run on a jailbroken Firestick require high-speed Internet. You can easily test the Internet download speed on your Firestick by using the following tutorial. You must also have a wireless router so you can connect the Firestick to the Internet. Will my Firestick become damaged if I jailbreak it? No, we aren’t manipulating the hardware of the Fire TV Stick in any way so there is no harm done by jailbreaking it. Can I undo jailbreak on Firestick? Yes, simply go through the screenshot tutorial above in reverse direction. Can I gift or sell a jailbroken Firestick? Yes, you can do this by installing the desired applications and then deregister the device. 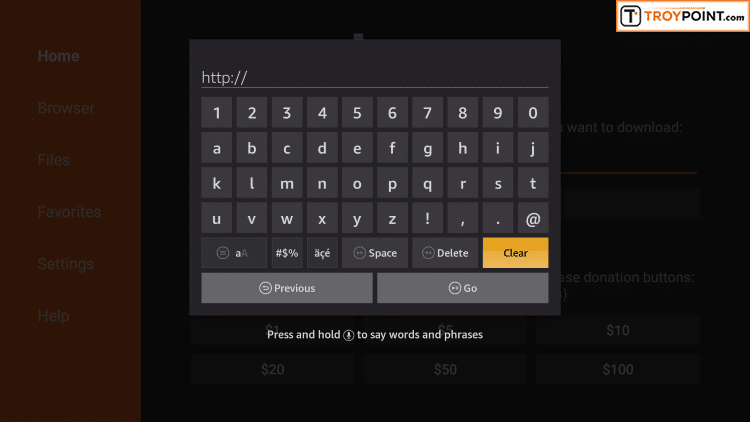 When the new user turns it on, she/he will be prompted to input their Amazon username and password. The applications that you installed on the device will be available. IMPORTANT: Due to copyright laws, I do not suggest selling jailbroken Firesticks that include applications that provide free movies, TV shows, IPTV, etc. Those who sell these devices have been known to face legal troubles and jail time. Can I buy a jailbroken Firestick? Yes, you can buy a jailbroken Firestick but I strongly suggest not doing so. With this hobby, it is important that users learn to keep their device updated themselves and functioning properly. Most people who purchase jailbroken Firesticks wonder why their device stops working after a few months or sometimes weeks. It is because they didn’t configure it themselves and they have no idea of how things work. The weekly TROYPOINT Newsletter keeps everyone up-to-date on the ever-changing world of cord-cutting. Use the link below to join the other 400,000 happy subscribers. Hello….. I have a strange question that I really hope you can help me with. My Firestick is about 1 1/2 yr. old. I have followed all the directions on which buttons to turn on and turn off and I got to the part where you say to hover over the search icon and type in Downloader and I do not have the search icon!!!! I have looked everywhere and tried everything and I cannot find it. Can someone please tell me what to do? I really am very happy with your site, thank you for what you do. Hi Karen, try restarting your device. Also, go into Fire TV Settings / My Fire TV or Device / About / Check for Updates. Apply any updates that are available. Keep going through this process until there are no more updates. When I try and install the Downloader app on my new fire stick 4K a pop up says. I haven’t got a shipping address in my amazon.com.au acct. But I have the acct is all setup. I have tried everything. I can think of. Can you please help me. I’ve spent hours trying. Thanks. Errol. Hello Errol, go to the link that it displays on the Fire TV Stick 4K. Do this on your phone, tablet, or computer. Once you get to that screen, you will probably notice that your billing address hasn’t been entered. Go ahead and enter it and you will be all set. I have done that Troy and it updated OK. Still get the pop-up. I have re entered my address again and again. Thanks. Hi Troy. Please disregard my previous reply. I re entered all my details as you recommended and it’s seems to be working OK now. Very odd though. I was doing it through my mobile. But it wasn’t until I re did it through my PC that the Stick accepted it. Thanks again for your great understanding and the many hours you put in to assist all of us.. Errol. Hello! Just bought a fire stick. Didn’t really know what I was buying tbh! Anyway I live in the uk and would love to be able to get the sky channels like you get with sky and also sports channels like BT Sport and sky sports. Does the jail breaking allow this to a possibility? 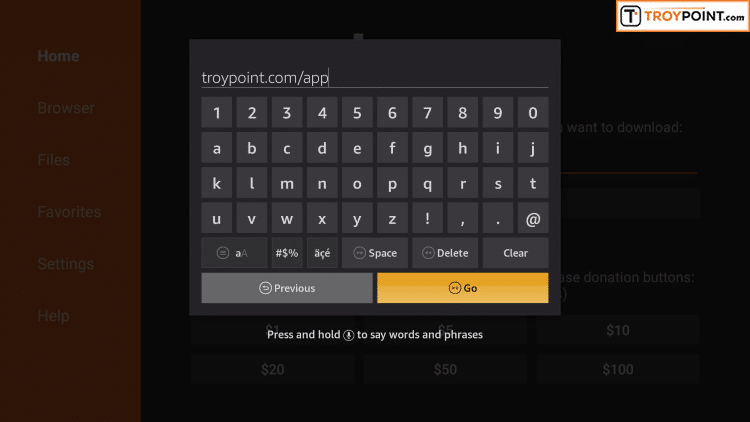 Hey troypoint, this is an amazing site and very helpful. I am looking to see do you have any information on how to download sports site specific to a certain sport. I am looking for baseball and football app to view all games. Thanks in advance if you can help with this. how can I download other apps such as “Ghost” on the downloader. what is the suffix I need to type in? or am I not able to do this on Downloader? yes! thats the one. Thank you!! Is it Ok to use my Amazon Prime Account or should I set up another one with no payment info attached? Hi Barb, I would put in a support request to PK about this. Regarding local channels, I use an inexpensive Over The Air Antenna and that works great. You may consider doing something like that instead of depending on them for locals. Thanks for following along! 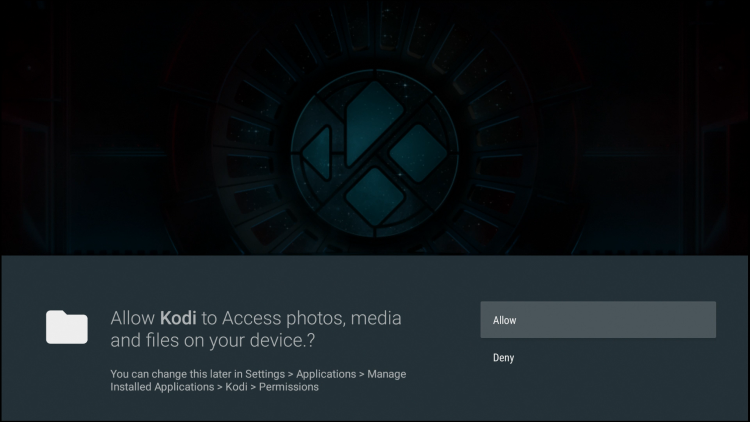 Resetting your device might help or reinstalling Kodi may clean it up as well. Does the FireTV have to be “Clean” or all data removed to jailbreak? It doesn’t have to be but is suggested.